I received a great Christmas present when the NC Court of Appeals issued an opinion in Danius v. Rogers, affirming summary judgment on behalf of a lawyer in a legal malpractice case I was defending. The plaintiffs settled the two underlying cases with the original tortfeasors and then filed suit against my client arguing that the lawyer’s alleged malpractice had damaged the settlement they were able to obtain. I argued that the plaintiffs had waived any claims against their attorney by electing to settle with the original tortfeasors. The Court of Appeals affirmed summary judgment, holding that the election of remedies barred the plaintiffs from pursuing claims of malpractice. A summary of the opinion appeared in the NC Lawyers Weekly December 28, 2011 edition under “Important Decisions”. The full opinion can be read here. Most of the time the insurance company will be responsible for expert witness fees when the insurer has a duty to defend but not in Bain v. Unitrin Auto and Home Ins. Co. The N.C. Court of Appeals, held that where the insured hired the expert witness on his own before filing a counterclaim that gave rise to the insurer’s duty to defend the insurer was not responsible for the expert’s fees even if the expert testified regarding the counterclaims that the insurer was defending. The new Comparative Negligence Bill Expected to Reform NC Contributory Negligence Law will have to wait until next year. The third version of the bill was sent to the Judiciary Committee on May 19, 2001 but failed to be heard during this year’s legislative session. 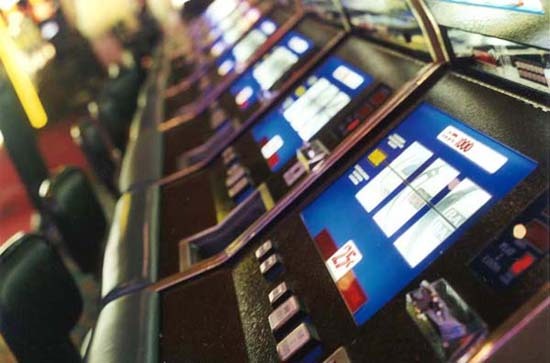 Video Poker is on its way out of N.C. The N.C. House voted to ban Internet sweepstakes games yesterday. The Senate already approved the bill, and it is now headed to the governor’s desk where it is expected that Governor Bev Perdue will sign it. Is Contributory Negligence on Its way Out? Comparative Negligence, Contributory Negligence, Law, N.C.
HB 813 has now passed the House of Representatives and is pending in the Senate Judiciary I Committee. Should the bill pass it will be the end of contributory negligence in North Carolina. Currently only five jurisdictions including N.C. retain the doctrine of contributory negligence. Under the contributory negligence doctrine, a plaintiff cannot recover from a defendant in a tort action if the plaintiff is even one percent responsible for his or her own injuries. Plaintiffs’ attorneys argue that the doctrine is unfair and that it only remains the law in N.C. due to heavy lobbying by the insurance companies who reap the rewards by not having to pay out claims. Insurance companies argue that changing from a contributory negligence state to a comparative negligence state will cause insurance premiums to go up stating that currently N.C. has the sixth lowest premiums of any state in the country. However, Scott Sexton points out in an article for the Winston Salem Journal that state Insurance Commissioner Jim Long has to approve any rate increases and that he is the real reason N.C. insurance rates remain among the lowest in the country not because the state is a contributory negligence state. So how would negligence be apportioned if we do away with contributory negligence? Under HB 813 N.C. would become a modified comparative negligence state. Under a pure comparative negligence doctrine fault is directly apportioned based on the degree of fault for each party. For instance if in a tort action if the plaintiff is 90% at fault and the defendant is 10% at fault the plaintiff can still recover for the defendant’s 10% negligence. Under a modified approach, recovery is barred if the plaintiff is 50% or more responsible for his or her own injuries.